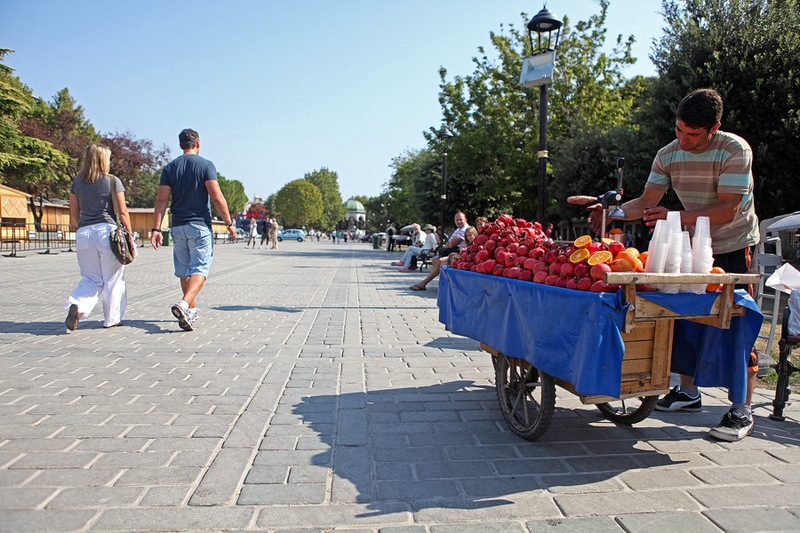 Istanbul, the old capital of the Ottoman Empire, is not a city filled with contrasts in modern day Turkey. Because of it's rich heritage, both cultural and architectural, the city that spans between Europe and Asia has a lot of visitors going through the streets of the old quarter. Although most blogs and websites talk about the old Mosques and Palaces that are well worth visiting in the city I am going to talk a bit about the traditional Turkish threats that you can enjoy in Istanbul. 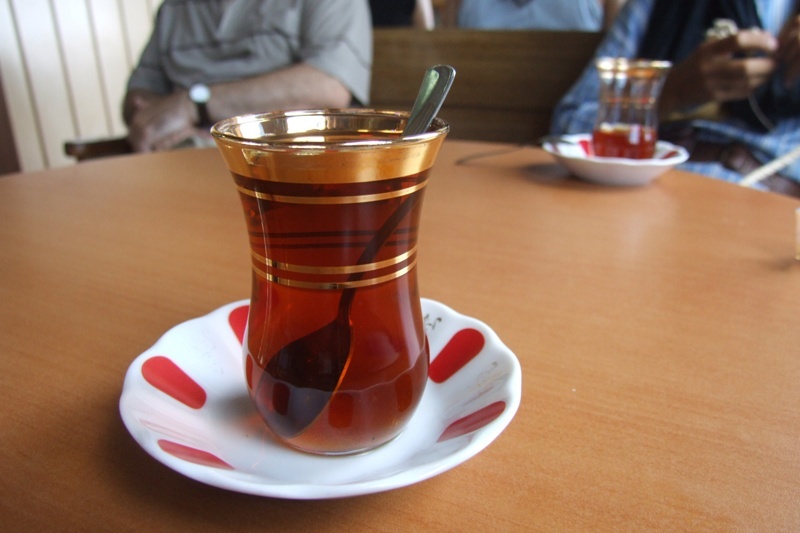 Tea, called by turks Çay, is very popular in Turkey and an important part of the Turkish culture. This is a type of black tea which is consumed without milk, produced on the eastern Black Sea coast. 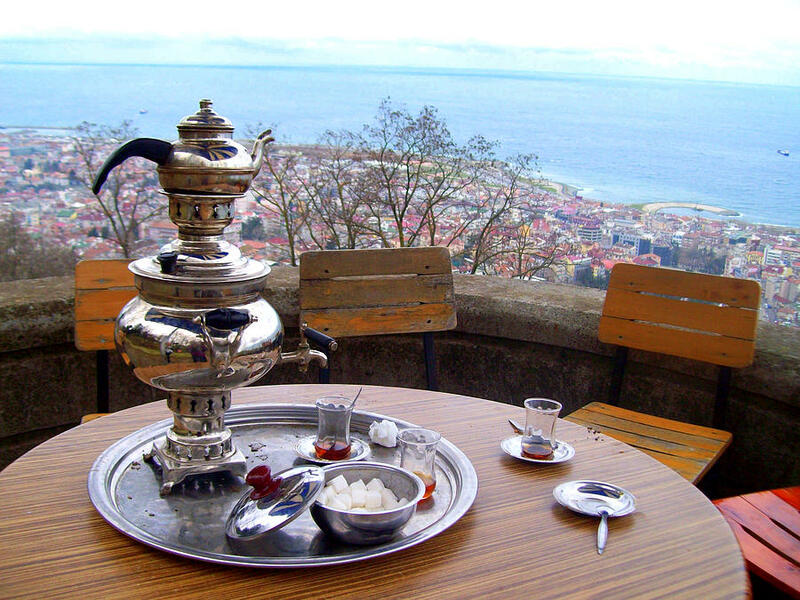 Turkish tea is typically prepared using two stacked kettles, similar to the way Russians do it. The small kettle has a high concentrated tea which is diluted with water from the large one. Note that this is the way tea is served at most hotel breakfast buffets, so be careful not to drink undiluted concentrated tea. Having a somewhat warm climate, Istanbul can be visited in the winter when you can take a walk in the old quarter and get yourself warm with a hot cup of tea every now and then. An Arab meat preparation dish it comes in many forms. First of all you can use lamb, chicken, turkey, beef or veal meat. Also it can be served on a plate or a sa sandwich rap. 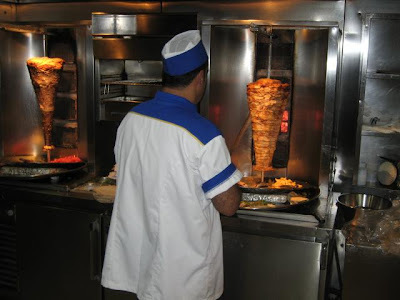 Usually, this is somewhat a fast food dish, but in Istanbul you have the chance of eating something special. The best one I've had as ingredients grilled vegetables, inserted between the chicken, cabbage, tomatoes and other traditional ingredients. As far as I remember this was in the Kumkapi area.